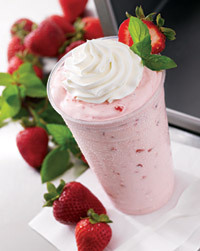 Easily add the most popular mix in treat menu item to your self serve shop! 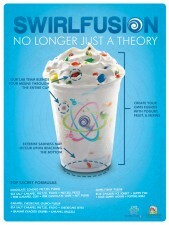 Customers have the excitement of building their own SwirlFusion (self-serve). Quick, easy blending by the cashier with two pre-programs exclusive to Honey Hills Farms. No mess and no fuss. Choose from detachable spoon system or mix in blender beaters. Easily mix candy, cookies, and fruit into frozen yogurt to entice customers with highly profitable frozen desserts. The next cool experience is now here for the self-serve shop. Expand your menu and increase profits. SwirlFusion, produced by a leading frozen dessert blender manufacturer, streamlines frozen dessert blending with exclusive Honey Hill Farm settings and automatic cycles. Engineered for outstanding durability and convenience, the machine is incredibly easy to operate and maintain. 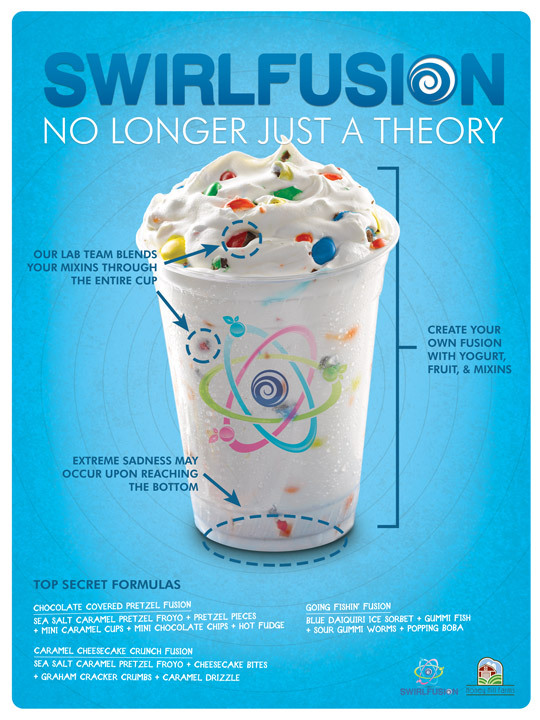 Plus, you will also receive a SwirlFusion poster with your order. Price includes shipping to the continental U.S.